African author Omoruyi Uwuigiaren was born and grew up in Ojo, Lagos, Nigeria, Africa. 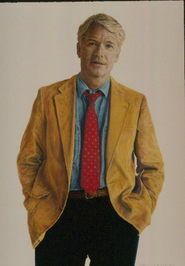 As a young adult, he attended school for Mass Communications. Ruyi (his nickname) soon discovered his talent for the arts included drawing cartoons and writing children's books. Ruyi currently lives in his hometown where he writes for children in his authentic African style. 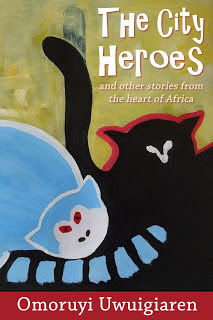 He has published two books to date – THE ADVENTURES OF NIH and now THE CITY OF HEROES AND OTHER STORIES FROM THE HEART OF AFRICA. Not only does Ruyi write well, but he also is a very gifted illustrator. He divides his book into six stories - The City Heroes, The Jungle Ants, The Country Boy, Stranger on the Farm, and Baby Thomas and Blaize and the Master of Enchantment. Each story is unique in storyline but each story reflects the atmosphere of Nigeria. Rich in atmosphere and beautifully placing animals in human situations, Ruyi proves he has a talent in both writing and illustrating books for both children and adults. He is a refreshing new voice! Short book full of joy!